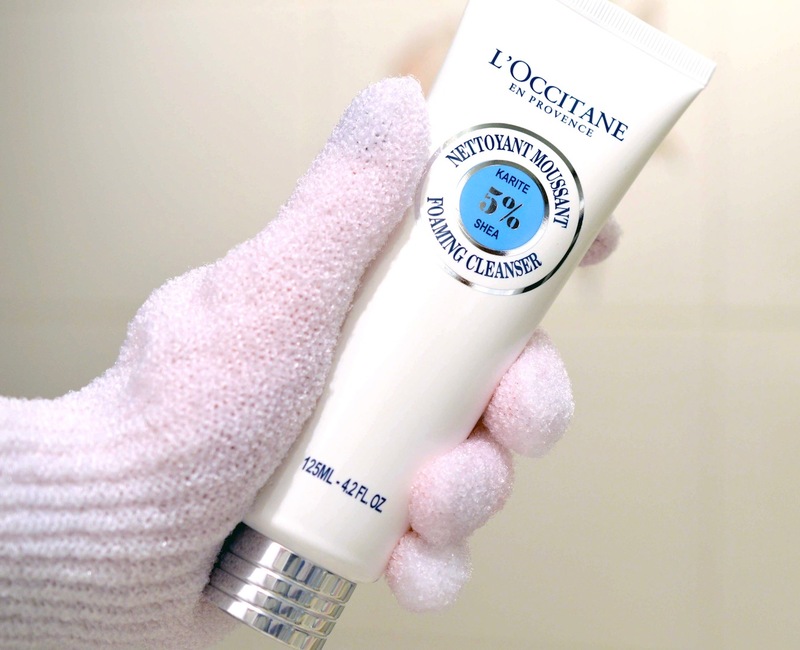 The Shea Foaming Cleanser ($28 for 125ml) "perfects make-up removal and gently cleanses skin". I subscribe to the double-cleanse method: First I massage my makeup off using Caudalie oil, then I rinse my face clean with a warm cloth. 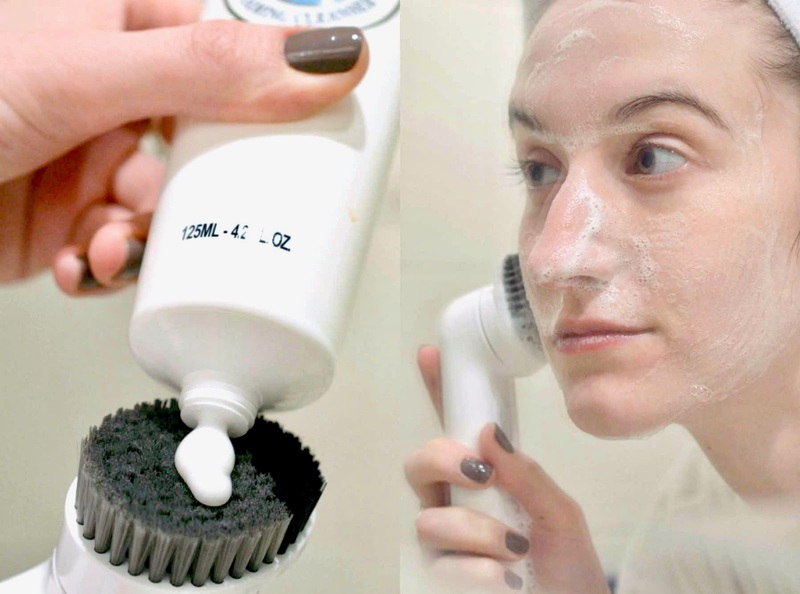 I follow up with a foaming cleanser, usually paired with my Clinique cleansing brush (review). Need a good scrub? 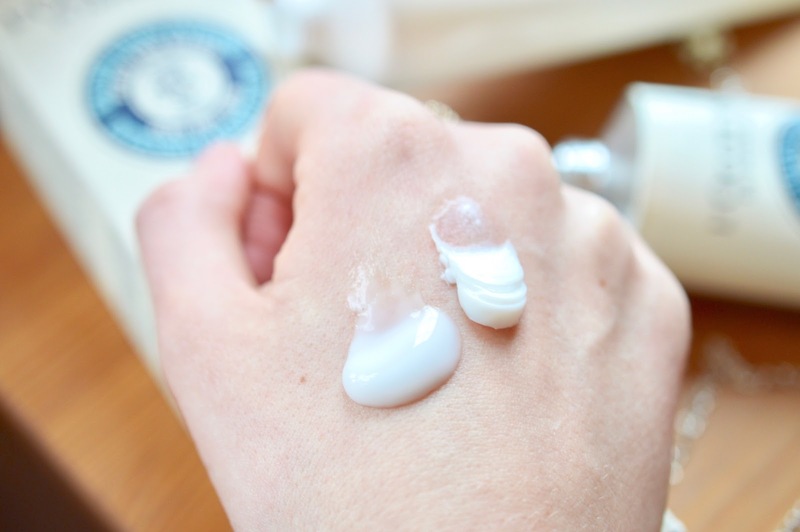 Wear exfoliating gloves to massage a dollop of this hydrating cleanser on your neck, back, chest and arms. Smooth as can be. I even pop some of this Shea Balm on my heels and toes to keep my feet in tip-top shape. The textures of these new Shea products are divine. 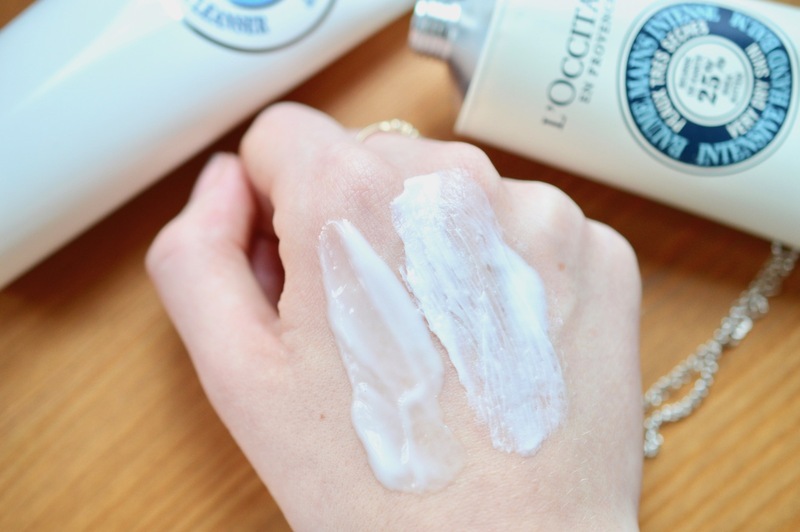 Rich, creamy, delicately fragranced and guaranteed to last longer than your average cleanser or hand balm. I'm amazed by how comfortable and clean this cleanser leaves my skin feeling, and I especially love the convenient tube packaging. The hand balm is also held in a chic, matte beige tube. 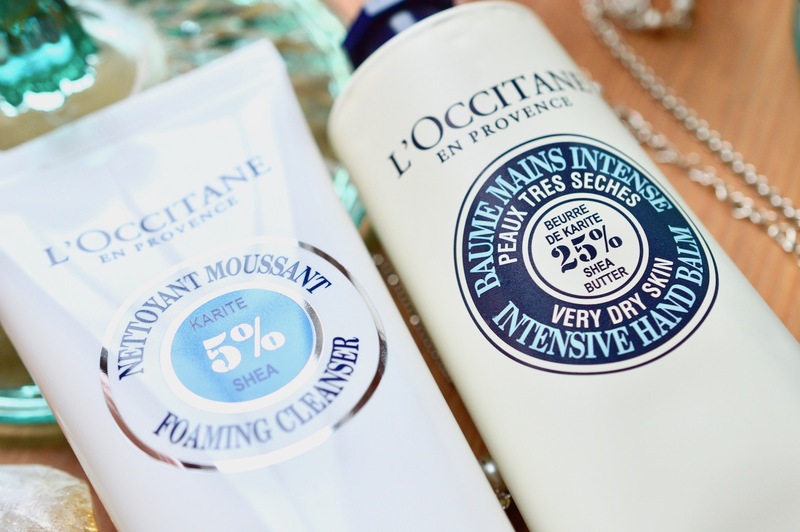 I'll never get tired of how beautiful my L'Occitane products look on a bathroom shelf. 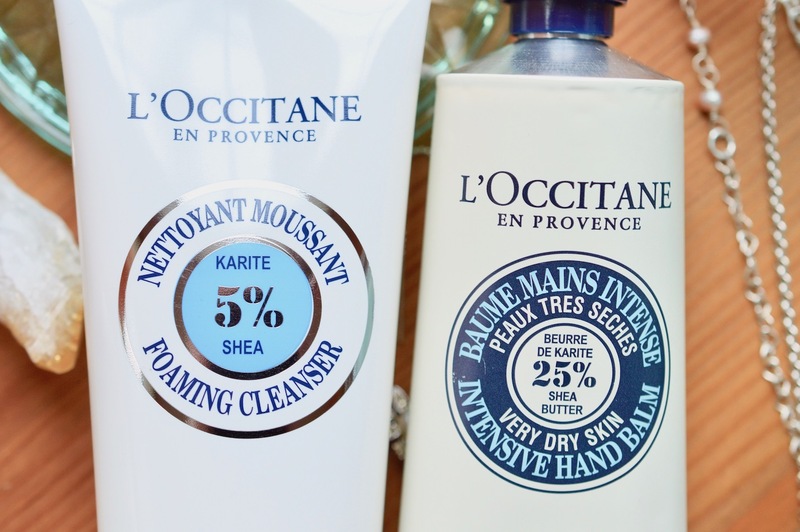 Have you tried the world-renowned Shea line yet?